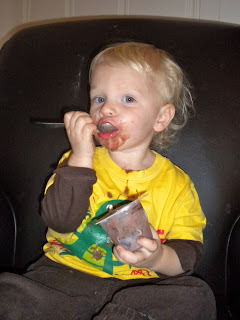 Tucker loves chocolate pudding! 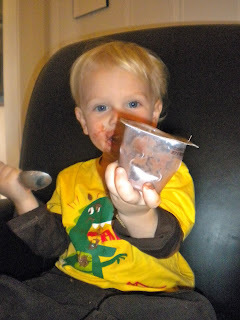 He refused to hand it over until he got every last bit of chocolate out of that pudding cup. 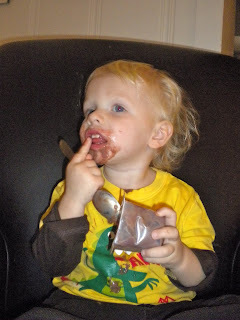 When he was finished he looked at me and said "I need more chocolate!" Yeah right!